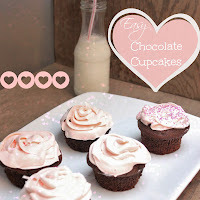 Although my blog is mainly centered around (inexpensive) home decor and DIY projects, I do like to post a recipe here and there. Do you like peanut butter? I LOVE IT! Especially with chocolate. So when I need a quick and easy frosting with a chocolate cake, this one is my go to. Scroll down to the bottom of the post for the recipe and link to go print it. 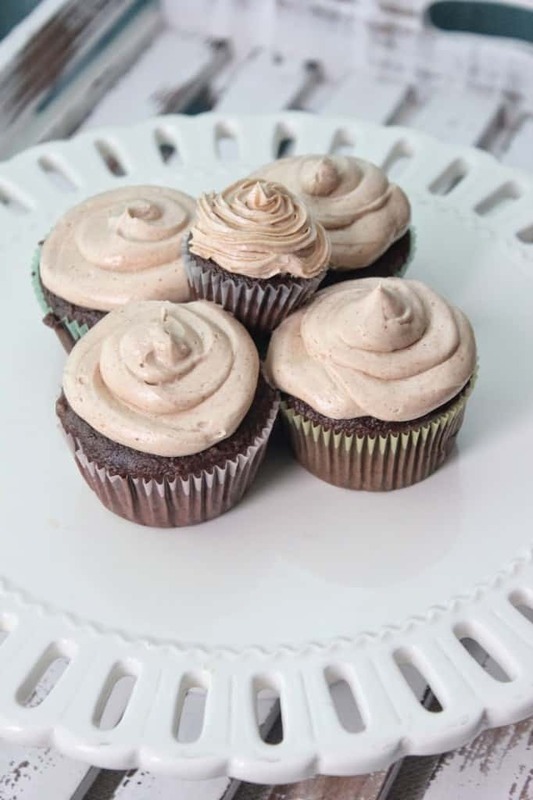 This is the easiest, most delicious frosting in the world! Can you tell I like it??? It can easily be adjusted from its original smooth creamy consistency to a more firm consistency by increasing the amount of peanut butter & sugar, while decreasing the amount of butter. Don’t want it too sweet? Decrease the amount of powdered sugar. It can be tweaked to accommodate any taste and can’t really be messed up! Place butter, and peanut butter in a mixing bowl and beat together with a hand mixer. Add powdered sugar, 1 cup at a time, until fully incorporated. Stir in cream and vanilla and beat until frosting is smooth and creamy! I’d love to see you pop over to my blog or connect with me on any of my social media platforms! You are speaking my language! Those look amazing! Erica @ For the Love of Decorating! Wow, way to make me need some cupcakes! This sounds so yummy, Erica! Yes, I’ll take two! That frosting sounds beyond delicious!! Oh yum, that looks super delicious! Pinning! 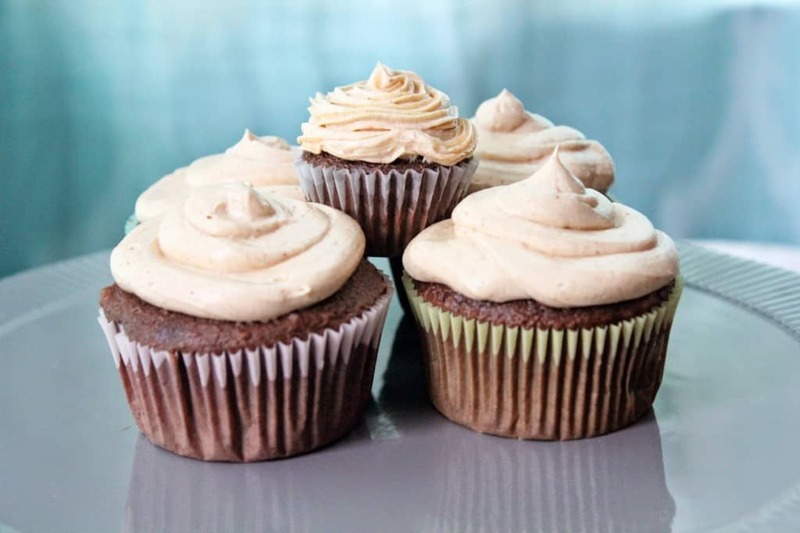 Oh my goodness peanut butter frosting… my mouth is totally watering. Now to dig through the cupboards as I’m sure we have most of these ingredients on-hand! !